YEARS IN THE MAKING, THIS ALCHEMICAL EXPRESSION IS THE BEST OF OUR CELLARS AND SPIRIT. The time has come for the enigmatic Black Art to return to grace the shelves of a few select spirits retailers around the world. 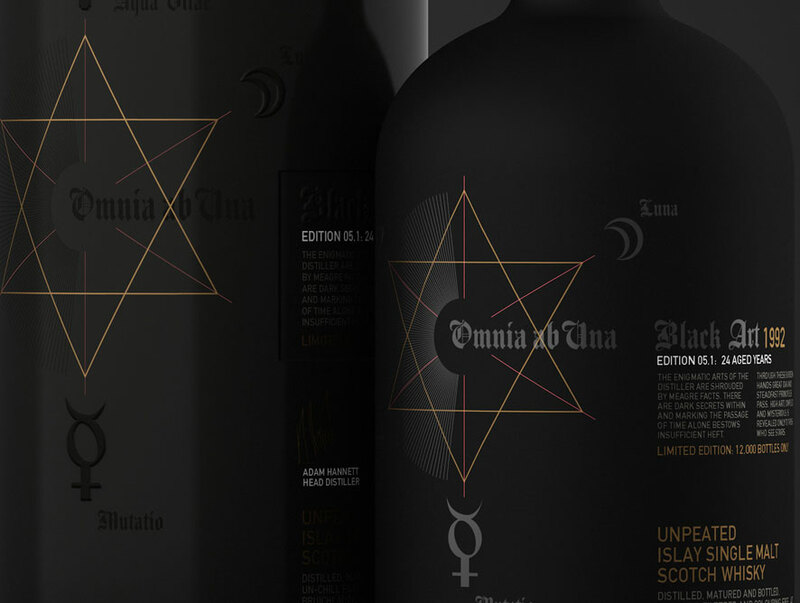 The fifth iteration of this most mysterious single malt is the first to have been created by Bruichladdich Head Distiller Adam Hannett, although it shares the extraordinary, impenetrable, black, minimalist packaging of its predecessors. The creation of these legendary cuvees, is a very personal process. Originally conceived of by the Master Distiller Jim McEwan, they involve the selection and vatting of very special casks over many years. Only distillers of the calibre and experience of McEwan and his successor Hannett could hope to track this complex process in their mind’s ledger. These are casks that demand to be watched, the assemblage of which could never be divulged. This is the distillers’ secret, the ultimate sensory burden of one man alone. Just 12,000 individually numbered bottles of Black Art 5 have been filled at the Islay distillery at 48.4% alc. vol. Australia’s allocation of The Bruichladdich Black Art 5 is now available at Bruichladdich Certified Retailers, but they’ll surely to run out fast. Make sure you get yours, because once they’re gone, they’re gone forever, making the Black Art 5 a worthy collector’s item.